Post Sale Update: This Spitfire sold for the BIN of $12,900. Also known as the Rocket Gold Star Scrambler, the Spitfire Scrambler is one of the rarest variations of BSA’s A10 model line up. It was an export-only bike that was primarily sold in the US and it was designed as an scrambles/desert racer from the factory. 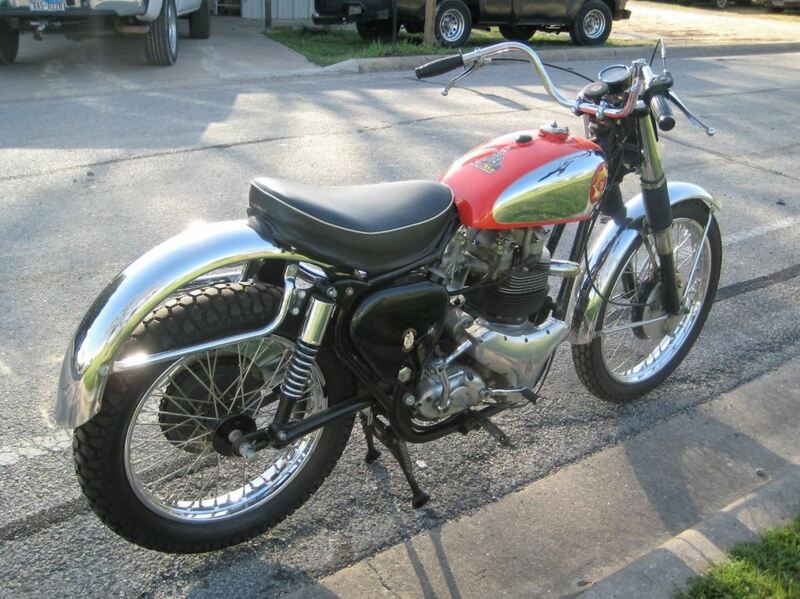 It combined a Gold Star Catalina frame (without the passenger footpegs), Road Rocket motor), and Gold Star components like the forks, hubs, and fenders. 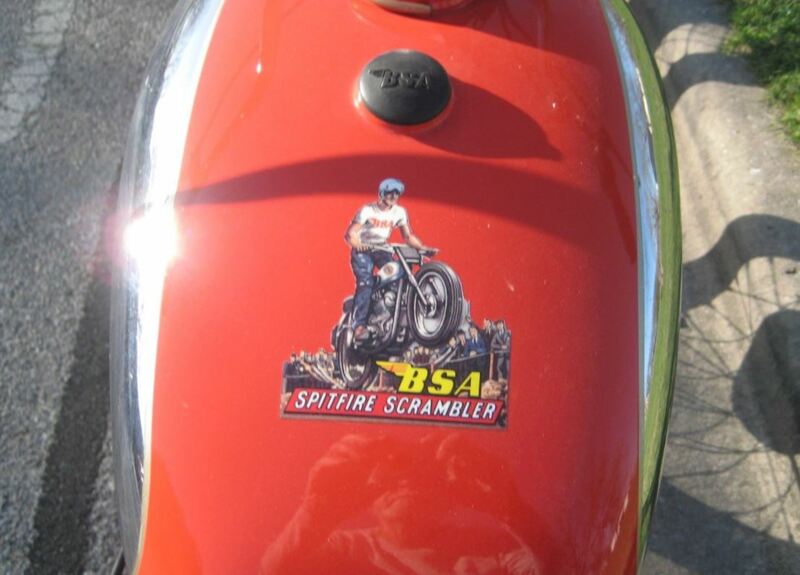 According to BSA’s West Coast distributor, Hap Alzina, the “Original projection on the Spitfire Scrambler was that a special scrambles camshaft would be most applicable for the basic purpose of the machine. However, careful dynamometer and road testing disclosed extraordinarily satisfactory performance with the full-race camshaft and hence this fitment has been adopted as a standard component, an engineering accomplishment that will be welcome news to ‘drag-race’ enthusiasts as it confines the necessary alterations from drags to scrambles to the top-end of the engine.” In 1957, just 424 Spitfires were built. This example (VIN: CA 10 SR 158) is said to have 9,500 miles and it’s spent the last few years in running condition but on display. The seller says that he has a letter from the UK BSA Owner’s Club showing that this Spitfire was originally shipped to Hap Alzina.